Square Enix finally has details on Deus Ex: The Fall, the long rumored sequel to Deus Ex: Human Revolution. Well, the game does officially exist, but not in the same form most were hoping for. 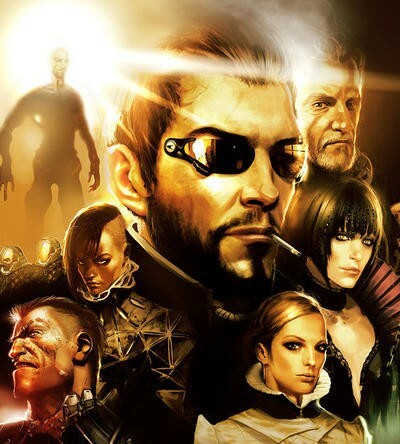 Rather than a full blown sequel, Eidos Montreal has confirmed that Deus Ex: The Fall is actually an iOS game for both iPhone and iPad, and that it will also be the first in a series of mobile games taking place in the Deus Ex universe. The game takes place during the year 2027 alongside the main Human Revolution storyline, but it's not part of it. Adam Jensen will hand the protagonist role over to Ben Saxon, a British mercenary who signs up for human implants during one of Human Revolution's prequel novels. Eidos Executive Game Director Jean-François Dugas is "excited to continue the Deus Ex series on mobile and start a new journey." "The team has done an incredible job creating a whole new story and controls for intuitive touch screen gameplay, whilst staying true to the Deus Ex universe. Players can expect exploration, action, hacking, stealth, social enhancers, player choice and consequence — the full Deus Ex experience." Any fans of Deus Ex: Human Revolution out there excited to play The Fall? There is bound to be a lot of disappointment about the game being relegated to a mobile platform, but try to remember that Human Revolution was one of the games Square Enix pointed the finger at for coming up short on expected sales and forcing the company to hit a financial mark. It's a harsh world we live in when poor sales completely cuts you off from top of the line HD production. We'll see how Deus Ex: The Fall plays when it comes out, and expect more gaming footage at E3. The game will cost $6.99.